Aspiration pneumonia is not the ordinary type of pneumonia. Yet, it is not strange for one to have this infection. 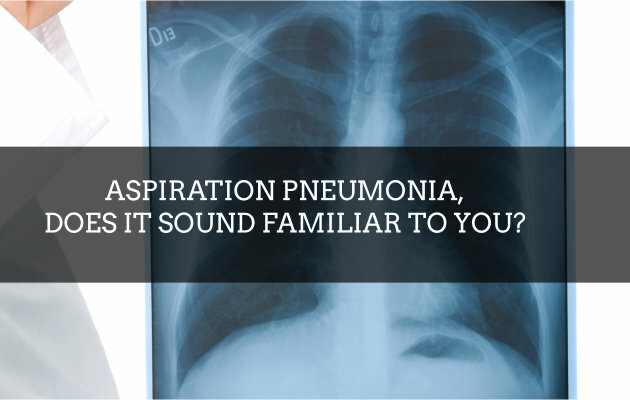 According to studies, aspiration pneumonia is an inflammation or redness affecting the lungs and bronchial tubes after oral or gastric substances such as vomit, food or liquid are breathe in. Normally, the mouth and the throat comprise several species of bacteria that draw out along with other oral and gastric substances which will in turn become pneumonia if these bacteria (known as anaerobic bacteria) grow in the lungs. In some instances, E. coli bacteria may consider a culprit too. It is significant to note that the lung tissue may be damaged by the oral or gastric substances and may develop chemical pneumonitis. When the immune system is weaker enough to fight the foreign invaders or germs infecting the lungs. Generally, aspiration results to bacteria pneumonia together with some chemical pneumonitis. Viruses and fungi may develop pneumonia but not more often in aspiration. Usually, only the air can penetrate the lungs but when there is presence of something that forbids your gag reflex to function normally or a swallowed food or drink that may go downward in the wrong way. When the patient is into a medical condition interfering the swallowing and chewing functions such esophageal disorders, anesthesia and dental trouble issues. Hence, the muscles responsible for swallowing become weak due to inactivity. In some instances, people can effectively draw out enough amount of the aspirate by making excretions through a strong cough to get rid from developing pneumonia. However, there are those who may have coughing impairment like those with brain injuries and state of unconsciousness. The above-mentioned manifestations are sufficient signals that a medical attention must be considered with utmost importance, more particularly with children two years old and below and adult aging sixty five years old and above. Call Friendship Manor at 618-327-3041 and recover from Aspiration Pneumonia through our Skilled Nursing Services in Friendship Dr. Nashville IL.